NHS Fife has revealed plans for a state of the art orthopaedics centre. 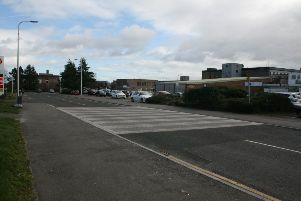 The service needs to be moved to allow refurbishment of the tower block at Victoria Hospital in Kirkcaldy. It is the only in-patiemnt service accommated in the old building, and work on the £30m improvement project cannot start until it is relocated. The service will likely be moved to a brand new building, if funding is approved. Tricia Marwick, who chairs the board of NHSFife, said: “Patients requiring orthopaedic services continues to rise.